Click here to download. Please check with customer service to see which software is the best fit for your studio. Problems launching MYACI with Safari Some Mac systems do not open the MyACI ordering software when using Safari. Some Mac systems will store the download into your downloads section of the browser, or in your download folder. The file you would need to launch is called launch.jnlp. if you see this file in your downloads folder, but it has a number after it (launch-4.jnlp for instance) is the same thing, the number is just indicating how many times you have tried to download the file. Double click on this file in your downloads, it will open the ordering software. If you are unable to launch using safari, please try to launch the software using Firefox, or Google Chrome. (If you do not currently have an alternate browser installed, please click on the name to navigate to its respective download site.) When using either of these browsers, your software should launch after clicking on the MyACI icon without having to navigate to a different area to download. If you received an error trying to launch your MyACI software, here are the steps to take to get your software running again. If these steps do not correct the issue with your ordering software, please contact our Customer Service department for assistance. 1. Click on a blank space on the desktop so the Finder task bar appears at the top. When you do this, the option for Go will appear along the top line, to the right of the Apple. 2. Under the Go menu, click on Go To Folder. A box will open. and type in ~/.aciroes then press return on your keyboard. This will open the a folder. Find the aciroes.properties file and move this to the trash. Then close the this folder. 3. Go back to the Go To Folder by following the steps above. In the box that opens, type in ~/.roes and then this should autofill, sometimes it has roescache, and sometime is has roesEngineCache press enter to open this folder. and delete everything in the contents of this folder. close the folder. 5. Go to the Apple on the top left, go navigate to System Preferences, go to click on Java at the bottom (if not there, install Java from Java.com). If it is there, click on it and a box saying Java is going to open in another window will open. When java control panel it does opens, click on the button that says Settings, the temporary files area will open. and they need to click on delete files. a new box will open with 3 check boxes, place a check in the 3rd empty box, making sure all 3 are checked, then click ok. After a few seconds, the box will close and take you back to the Temporary Settings section, click ok to close, this takes you back to the java control panel, click ok to close. You can now close the box that says Java will open in another window. 7. If using Safari, there is an arrow on the top right depending on their your system it is either blue or black. Click on this arrow (not in the downloads folder) and find the launch.jnlp file and click on that. 8. If it MyACI does not launch successfully and you receive the error saying “launch.jnlp could not open because it is from an unidentified developer. “ proceed to number 9. If the software did launch, proceed to step 10. 9. Go to the Apple on the top left, go to System Preferences, go to Security and Privacy, in the General tab, at the bottom section it will say launch could not open, but give a button to click that says Open Anyway, click this and the software will launch. 10. Enter your account number in the customer number area and click login as the steps we have taken may reset the software thus requiring their your account number. When you click login, you will not see any changes to the ordering software, but you will be logged in. once you complete your order, you may also need to re-enter your studio information during the check out process. If you logged in correctly, you will see your account number in the correct spot, you will need to fill out the rest of your studio information. again and then your studio information during check out. Please note that Java and Apple continue to make changes to their software, and these changes may cause issues with your MyACI ordering software. 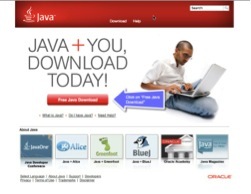 Java is no longer supported on Mac OS 10.6.8 or earlier. If your Mac is running an older version of Mac OS X, you may experience technical difficulties or be unable to run the MyACI software until you update to a newer version of Mac OS X. Before attempting to re-launch, clear your Java caches, and clear out the program properties. Instructions are located in the section MyACI Troubleshooting for Mac. Once updated, navigate to acilab.com, hover over “Resources,” and click on “Ordering Software.” Click on the MyACI icon. Your computer will then add a new shortcut to your desktop, and your software should launch. You may receive an error stating that the program cannot launch because it is from an unidentified source. If that does occur, please see the fix listed in the section MyACI Troubleshooting for Mac. netsh advfirewall set global StatefulFTP disable and press Enter. You can now close the window and FTP should go through properly. Having trouble launching MyACI on your PC? Having trouble launching MyACI on your Mac?